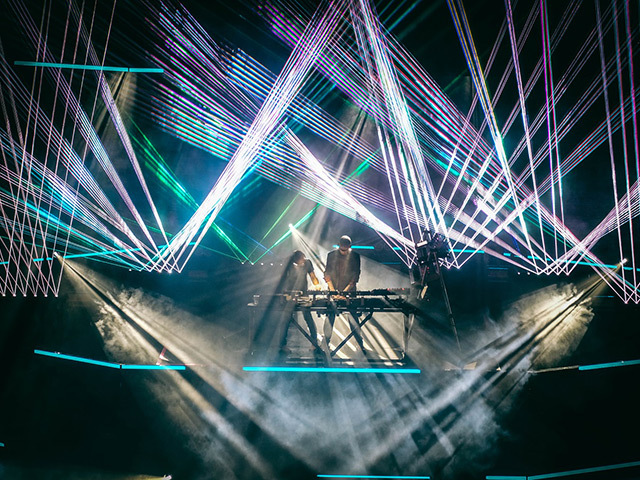 With a number 1 dance album – and a credible number 12 place in the UK album national all genre charts, Orbital are back in a big way. After a summer of great performances at Festivals and own shows in UK and Europe (thank you Brighton Hull Gateshead and Glasgow, Amsterdam, Dublin, Moscow and Spain) and with the great reaction to the new album “ Monsters Exist” ( this is certainly true and visible in the manifestations of today) they are staying right on message. "'Tiny Foldable Cities' has classic Orbital written all over it, but remains fresh in this ever-changing landscape of electronic music"
"The elder statesmen of rave"
"The Hartnoll brothers are on fabulous form"
"They are back to show people how it's done"
"Arena-rocking electro duo are reunited and it feels so good"
"We're really excited about this. The masters return"
"Their legacy remains securely locked in place"
Consequence Of Sound on P.H.U.K. Chris Hawkins (BBC 6 Music) on P.H.U.K. "Back to their bleep and beat-filled best"
Nemone (BBC 6 Music) on P.H.U.K. "An absolute barnstormer of epic proportions"
Orbital head off to Dubai at the end of September before a European tour in October which takes in two shows in Amsterdam during the ADE, three shows in Germany and single shows in Poland, Sweden and Denmark Then it’s a quick visit to USA in early December finishing the year with five UK shows just before Christmas in London Cambridge, Bristol Sheffield and Manchester. WORLD TOUR IN 2019 to celebrate 30 years since “Chime” changed music forever and was their first hit single. February and early March 2019 finds them in New Zealand and Australia. Please make early enquiries for their availability in 2019 as we are targeting Festival shows across UK and Europe as well as in Japan and the Pacific rim.